Like the Rapoo KX, the Nixeus MODA will score points with some consumers right out the gate because of its small size. It's not quite as compact as the KX, thanks to a small palm rest and a dedicated Home block, but this is still a dainty model compared to your typical gaming monstrosity. 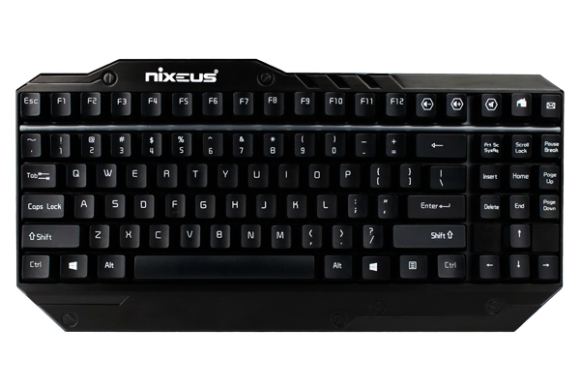 And the Nixeus Moda is a great little device, provided you're looking for a bare-bones mechanical keyboard. You're not going to get many frills here—not even media keys. If you can live without those perks, though, this is a solid (and cheap) device. 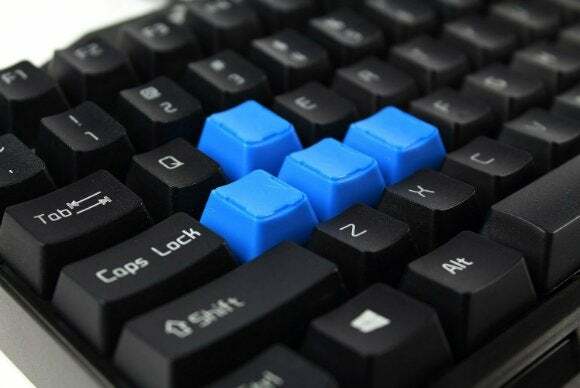 The Nixeus Moda uses "Brown" switches, but not those made by Cherry. These knock-offs are otherwise the same though, with an actuation force of 45cN and a 2mm actuation point that features a tactile bump instead of the click found in MX Blues. Despite being "the same," I did notice that the Moda has more of a hollow, clacking sound to it than other Cherry Brown keyboards I had lying around, but whether that's due to the switch or due to the Moda itself I can't say. Will the average person ever reach a point where using Kailh switches instead of Cherry switches is a real detriment? Probably not. They're knock-offs, but they seem to be pretty decent knock-offs. It seems like Kailh has sorted out most of the manufacturing issues it had in the past, and while they might cut corners and skimp on materials...well, I'm just not convinced the average mechanical keyboard user will care. What they will care about is price. 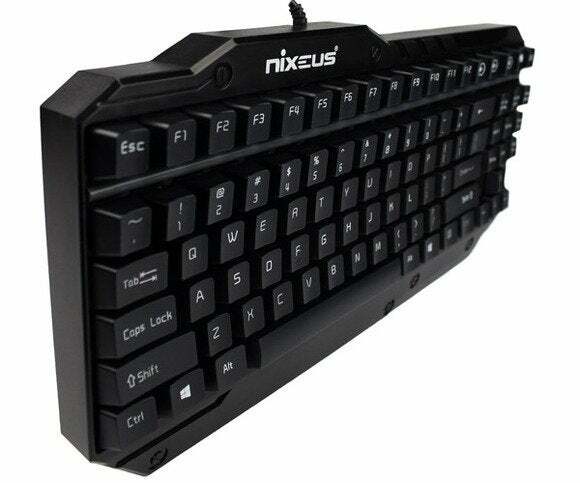 At only $60 on the street, the Nixeus Mode is one of the cheapest available mechanical keyboards. If you've been eyeing the mechanical keyboard realm for a while now but didn't want to plunk down an exorbitant amount of money, the Nixeus Moda is a damn good entry-level candidate. The downside is that it's fairly stripped-down. You have dedicated Mute, Volume Up, and Volume Down keys in the upper right corner, but there are no media keys on the board, nor any macro keys. There's also no backlighting, which for me is an annoyance. I tend to work and game a lot at night. Even as a touch-typer, backlighting is a lifesaver. In all other ways, the Moda should suit budget-minded users. It's a durable little device, housed in some extremely thick black plastic with a faux-brushed metal look. The keys have a subtle texture to them that I really enjoyed typing on. The only two things I don't like design-wise are the typeface and the fake screws in the palm rest. Both look tacky and undermine what's otherwise a sleek-looking keyboard. The cable could also use an upgrade. It's cheap rubber,and not very thick—especially where it connects to the keyboard itself. I'd be concerned the connection could break under heavy, active use. It's cheap (especially on sale), it's stripped down, it's simple. The Nixeus Moda does nothing to stand out, but it doesn't need to—it's all about the price. This is a budget mechanical keyboard with impressively few caveats.